since a long time I dobn't used Pano2QTVR, but today I tried to create a object movie and run in the problem, that the movie looks blury and the quality settings dosn't show any effect, the file size is allways the same. What can i do? Attached a screenshot that show my settings + the mov + an original image. You say you are trying to create a object movie? Maybe with Object2VR ? You are outputting the final .mov to use the DevalVR viewer. I have done a test more and it seems to be that the DevalVR caused the blury look. Also I found, that upper quality options can be used for scaling the image quality. But for what can be used the quality settings at the lower options (movement, still)? PS: It's a pity that the Pano2QTVR development is stoped. I have the feeling, not all options are right working. It could be good, if Pano2QTVR could get a basic support, I mean bug fixes and UI clean up (ok, no additional features). Pano2QTVR is replaced by Pano2VR for panorama and Object2VR for Object Movies. 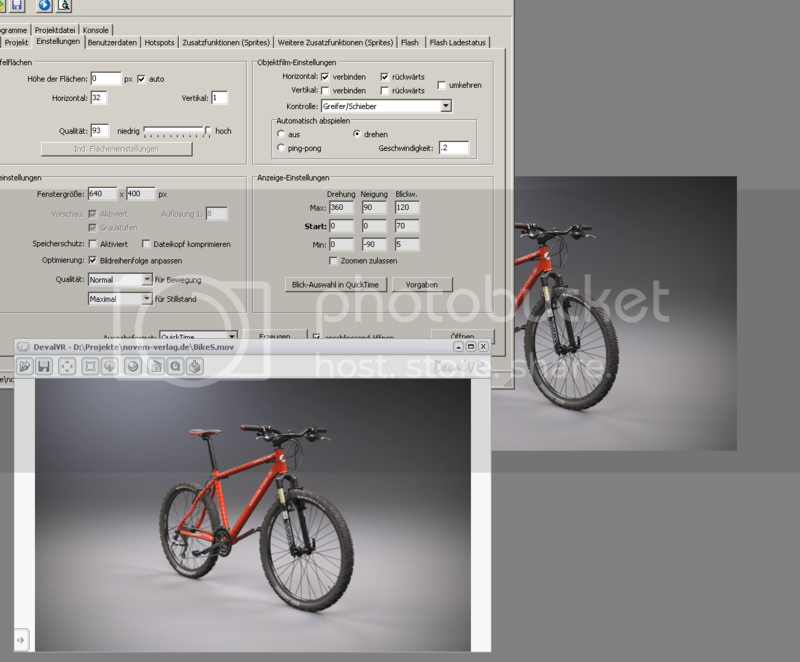 You can change the interpolation setting in Files>Settings>Images - Interpolation Filter: (dropdown) list. Thank you smooth. At Pano2QTVR is no option for that. But the image blury seems to a player problem. The open question is - for what are this options, there is no change in the file size? A help file that explain the options could be great. I bought Pano2QTVR for creating object movies and panorama movies. Why should I not use it? I think, it should do what it looks like it could do. And not right working options should no cause extra cost. For example some times the reaction of the grip is flipped and the reverse option dosn't do what it should do. Also Object2VR is beta software. I don't like to pay for a beta software that could do what I expect from my bought final software.